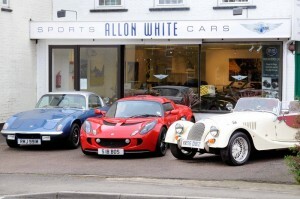 Established in 1918, Allon White has been working servicing and maintaining cars for almost a century. Since the 1950’s the company has been closely associated with Morgan as one of their long standing dealerships, but hasn’t limited itself to working exclusively with the Midlands marque – taking it’s experience in maintaining low volume British sports cars and carrying it over in to Lotus servicing and second hand car sales from it’s showroom and workshop in Bedfordshire. For some time Allon White has offered benefits to SELOC members in the form of 10% workshop and trimming labour rate discounts, and with the company extending it’s support to SELOC this year we thought it was high time we took a look at some of the services they offer. 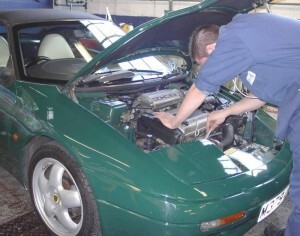 While Allon White have been servicing Lotus cars for many years, in 2009 they became a Lotus Authorised Repairer, meaning the workshop staff are now not only trained to the same level, but have access to the same equipment and resources as those in Lotus Main Dealers – allowing them to provide a Lotus stamp in the service book and carry out warranty assessments and repairs. 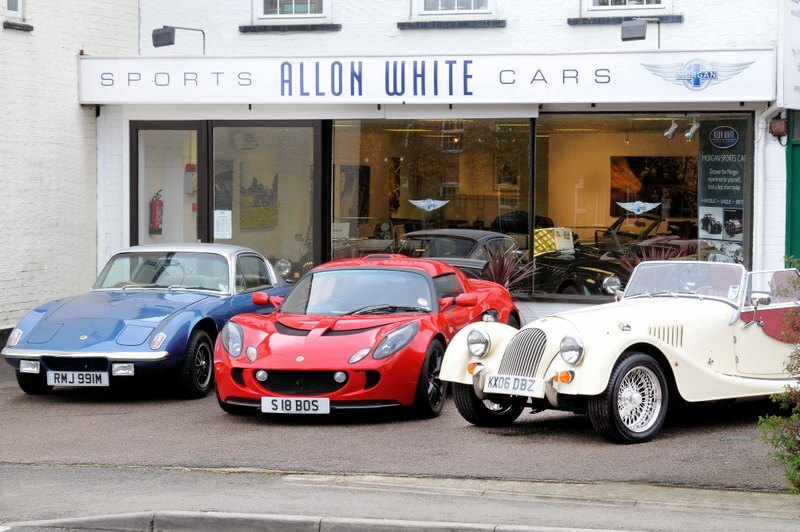 Their years of experience dealing with classic cars make Allon White are excellent choice for those with classic Lotus’s such as the Elite, Elan and Esprit – including fixed priced servicing for the M100 Elan. In addition to basic servicing, Allon White can also carry out 4 wheel alignment checks and correction, and supply and install performance upgrades from Lotus, Janspeed and PTP, amongst others. Since Lotus closed their factory aftermarket trim shop in 2010, Allon White is now the only Lotus approved coach trimmers. Allon Whites trimming work with Lotus actually pre-dates their Authorised Repairer status, with the company working with NuBax, the owners of ProBax, and Lotus to develop and prove the effectiveness of the ProBax seats for automotive applications. The ProBax seat padding, introduced in the MY06 Touring Pack, made probably the greatest improvements to driver comfort in the Elise range, and can be installed by Allon White in to any Lotus Elise or Exige seat. Along with seat trimming, Allon White can carry everything from Lotus Elise and Elan hood repairs and replacements to full interior retrims – whether it be covering the steering wheel centre, door insets, sill covers and centre console of an Elise in alcantara, or a leather retrim of an entire Esprit interior. To find out more about the full range of services offered by Allon White you can contact them through the details on their website, or visit their themed Saturday Breakfast Club events on the first Saturday of each month.